AmTech International manufactures this Cold Forged Shaft by long stroke cold forging, gear cutting and precision machining. This shaft has a very high production output, with more than 250,000 pieces produced annually. AmTech supplies this forged shaft to a brake system manufacturer. 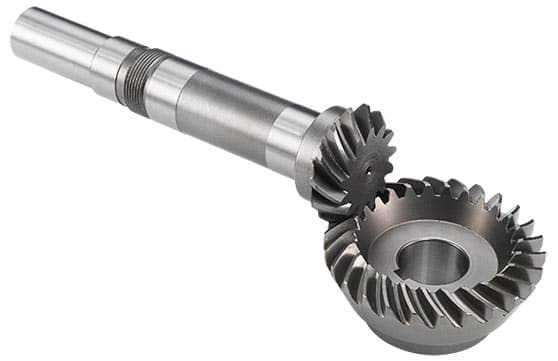 Helical Gear Dimensions:0.984" x 0.401"
Worm Shaft Dimensions:0.846" x 0.311"